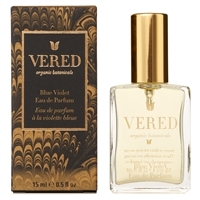 VERED organic botanical perfumes High vibrational oils heal the skin, mind, body, and soul. 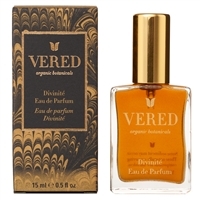 Creating organic perfumes is one of the most important aspects of my work, and has long been a passion of mine. I have a deep sense of satisfaction by knowing that my scents are not only uplifting to the individual but also have health benefits—as all the 100% pure organic essential oils and ingredients that I work with come straight from nature and are therapeutic-grade. This is crucial for me. As I researched the harmful toxic synthetic ingredients that are contained in conventional fragrances, I grew alarmed for my own health and also for all the unsuspecting women and men who use these products on a daily basis. With every application, these chemicals are being “mainlined” into our bloodstream and slowly accumulate in our bodies where they interfere with our immune system and cause long term damage and various symptoms such as nausea, migraine headaches, loss of memory, depression, hormone disruptions, anxiety and panic attacks. My love for aromatherapy and nature inspired me to use these pristine essential oils, that nourish our immune system, restore our memory, uplift our spirit, calm our anxiety and soothe our unbalanced emotions. Essential oils work directly with the limbic system that is a vast and complex network in the brain that control emotions, memories and arousal. When you inhale an essential oil, the molecules travel to the olfactory system, a major structure within the limbic system. This in turns stimulates neurochemicals and hormones that balance and regulate various networks within the body like the endocrine, immune and nervous system. Therefore, just the action of inhaling an essential oil with sedating or stimulating properties will produce an appropriate response in one or sometimes more of these systems. Since aromas, emotions, and memories all meet in the limbic system this is why a smell can trigger specific remembrances. One of the most rewarding parts of my work is creating custom perfumes for my clients, especially working with childhood memories to invoke a deep sense of happiness and healing. My current perfume offerings are inspired by a composition of notes, emotions and stories of my own life experiences and influences. 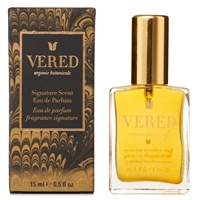 The Signature Scent and Blue Violet perfume lean more towards sensual, floral and feminine, while the Deep Citron is a combination of more masculine notes such as woodsy, smoky and citrusy. All three have been appreciated and worn by both women and men.